Total Living: 2,815 sq. 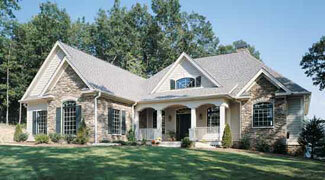 ft.
Arches and columns define the front entry porch, while stone accents add charm. 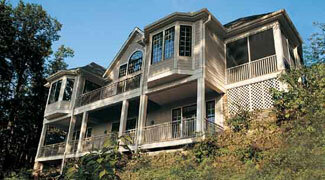 Bay windows and two levels of open and covered porches make the rear of the home just as spectacular as the front. 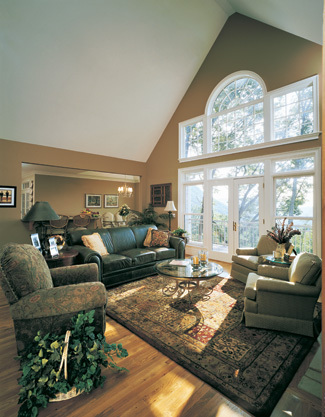 The vaulted great room is flooded with light thanks to a large French door topped by an arched transom.